LAKELAND, Fla. — Lakeland Police Chief Larry Giddens announced his retirement on Monday. The City of Lakeland received the official retirement notice from Giddens Monday morning, which is effective February 4, 2019. Giddens served the city for 34 years and was sworn in as Police Chief in March 2015. Delgado said they will now be evaluating the Department and reviewing the organization's current succession plan. 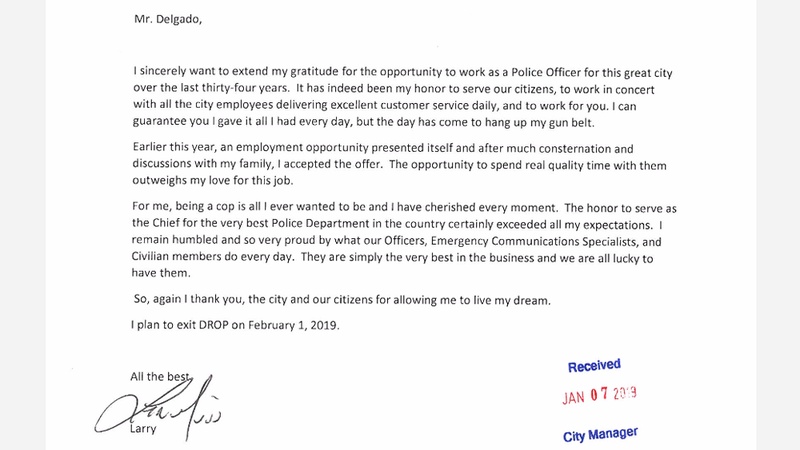 "Chief Giddens has done a fantastic job transforming the Department and we have a group of very talented and dedicated employees within the Assistant Chief ranks who will help us get through this transition period,” Delgado said.